Stargazers are usually taken as a bycatch of deepwater trawling operations and are marketed either as whole fish or fillets. Pearly white flesh, firm texture, will not readily flake. Suited to most cooking methods, and when cooked has characteristics and flavor similar to rock lobster. 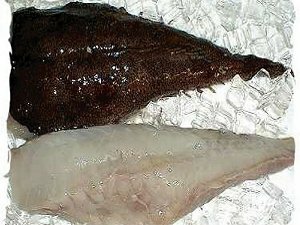 The trimmed body is similar to that of the European monkfish, which is actually an anglerfish, apart from small pin bones which should be removed if sold as fillets. It is a prized sporting fish which will take small lures and also live bait. They inhabit southern Australian waters in the 400-900 metre depth range. They reach 70cm total length and can weigh at least 8 kg. The monkfish is also called the anglerfish. It has a unique texture and flavor. The slightly chewy texture and mild flavor with a slight sweetness has made it very popular and earned it the nickname "poor man's lobster." 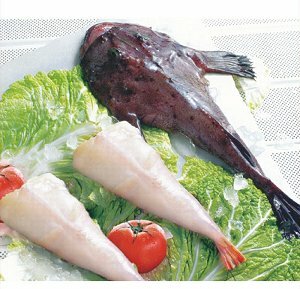 Pearly white fish with firm texture, suited to most methods of cooking. Has characteristics similar to crayfish. Stuff with lemon, orange slices, wrap in panchetta and bake. Monkfish is sold fresh, frozen, or smoked and available as whole tails, with skin removed, or fillets. The skin and the head are usually removed before the fish is sold. Monkfish is often prepared like lobster and can be substituted for lobster in most recipes. Monkfish aren't the prettiest fish, but they are pretty tasty, with mild, slightly sweet meat similar to lobster. Until the 1970s, this "poor man's lobster" was caught incidentally in trawls and scallop dredges and was considered a trash fish in the United States. In the 1980s, domestic commercial fisheries for monkfish developed in response to growing international demand for monkfish tails and livers (as the European and Mediterranean monkfish stocks had been depleted). By the 1990s, monkfish were the highest valued finfish in the Northeast, surpassing traditional groundfish species such as cod, haddock, and flounders.